Last year’s Ohio State Men’s Hockey team disappointed a lot of Miami faithful by beating the ‘Hawks 1-0 and 5-2 in Columbus on January 7-8. But fret not Buckeye haters RedHawks fans, this was the beginning of the end, and Ohio State promptly finished the season 3-10-3 which included a 2-game sweep out of the CCHA tournament at the hands of Lake Superior State. Head Coach Mark Osiecki will be at the helm for his second season after a 15-18-4 overall and 10-14-4-2 CCHA record last year. He will have a new goalie coach to mentor senior netminder Cal Heeter and will take one of the largest freshmen classes in college hockey history into the season with 13 rookies on the roster to start things off. For all of the so-called “draw” of the upcoming Big Ten Conference and the Ohio State “brand name,” this year’s out of conference schedule certainly isn’t impressing us. Ohio State opens up tomorrow (10/1) with an exhibition against Windsor (Canada) College, followed by a home series against Quinnipiac October 7-8. They later have a November series against Alabama-Huntsville and one game at the RMU/Pittsburgh College Hockey Showcase on December 30th. Throw in a game against Little Sisters of the Poor and it looks something like the football team’s OOC schedule (in which they’ve played Akron, Toledo and Colorado this year, and looked awesome awful at Miami of Florida 2 weeks ago). Outside the weak out of conference schedule, Ohio State does have a couple “marquee” games this year. They will play at Notre Dame in potentially the final game/series in the Joyce Center Ice Rink on October 14-15 (schedule is still undecided for the Irish). Then there’s the aforementioned College Hockey Showcase in Pittsburgh against host Robert Morris University. Finally, to top it off, on January 15th Ohio State heads to Cleveland and Progressive Field for the Frozen Diamond Faceoff against arch-rival Michigan. The Buckstache rides again…towards the bottom of the league and another first round CCHA tournament road trip and early exit. And with these HIDEOUS “traditional” new uniforms, I’m not sure it will be a pretty ride, either. The CCHA Media took Ohio State 9th and the Coaches predict a 7th place finish. 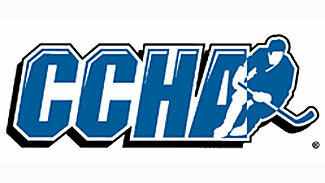 Redskin Warriors has received an unconfirmed report that Notre Dame and RPI are moving to Hockey East in 2013. Our source with credible access to the ongoing talks tells us the Irish will take their talents east, and along with the Engineers of RPI will become the 11th and 12th members respectively, of Hockey East. If true, it could also signal Notre Dame’s intent to join the ACC for all other sports as the rest of the collegiate athletic world undergoes the same sort of seismic shift as hockey. And, for certain it’s a coup for Hockey East to land the last remaining free agent gem in the Fighting Irish. For Notre Dame, this move makes sense. They would become conference mates with longtime rival, and Catholic college brethren, Boston College as well as Providence and Merrimack who also don the cloth. For RPI, well, what an opportunity. They will be reunited with former ECAC rivals and this ties nicely to their reemergence on the college hockey scene as young head coach Seth Appert has the Engineers headed in the right direction. Their travel costs won’t rise and their sense of prestige and strength of schedule will certainly improve. In the meantime, we’ll try to gain confirmation and will update this story as we can. With former Miami captain and assistant coach Chris Bergeron taking the reins, last season the Bowling Green State University Falcons finished in the basement of the CCHA winning just three league games and ten overall. However, the ten wins were a dramatic improvement from 2009-10 when they won just five games in an absolutely forgettable season. With the continued uncertainly surrounding the Falcons once proud hockey program, this off season hasn’t been anything to write home about. And, without a conference affiliation for 2013 and beyond (they have been extended an invitation to join the WCHA but have not yet accepted), the Falcons saw their best player, junior Jordan Samuels-Thomas, transfer to Quinnipiac. Samuels-Thomas led Bowling Green in scoring each of his two seasons in the orange and brown. 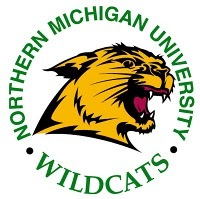 Sadly, the program once again looks unsteady even with recent improvements made to their home rink and having professed a desire to be included in the new NCHC with MAC brethren Western Michigan and Miami. The latest rumor surrounding the Falcons was first published by Bruce Ciskie, the voice of the defending champion UMD Bulldogs on his Twitter feed, and then again on his blog. Ciskie is reporting the Falcons have asked the WCHA for more time as they consider the league’s invitation, but that they have met with four Atlantic Hockey schools, Canisius, Mercyhurst, Niagara and Robert Morris, about potentially starting yet another new college hockey league. In addition, the Buffalo Bulls, who currently field a club hockey team, could be convinced to move to Division I, and perhaps even UAH could be included in discussions. If this pans out, this league would actually make a ton of sense for all involved. First, the Falcons would have a far greater chance of competing, the geography and travel would be much better than making trips to Minnesota and Alaska, and it would not only save a program (Alabama-Huntsville), but even add one in the University at Buffalo. More on this as the story develops. On and off the ice, the story continues to be somewhat bleak as BG lost their best player, then had two incoming freshmen declared non-qualifiers by the NCAA and the recruiting pipeline does not appear to be loaded with top-end talent. But, they do return junior goaltender Andrew Hammond who posted respectable numbers (2.67 GAA, .915) and three of their top five scorers. However, those three combined for just 48 points (Hobey Baker winner Andy Miele had 71 for Miami last season), but it’s something. Generally speaking, BG’s recent recruiting classes feature kids from second tier junior leagues and do not possess the depth as top tier teams that are pulling the best from the USNTDP, USHL, BCHL and the east coast. Of course Bergeron has been working with the specter of their program folding, marginally renovated facilities and now the problem of not having a conference. Looking at their incoming recruits, at first blush, there doesn’t appear to be a ton in the tank, but hopefully for the Falcons, some of these guys are late bloomers. On the positive side, Bergeron’s first recruiting class seems to have landed more size for the Falcons, which would follow the trend of when he recruited larger players at Miami to fit a tough, physical style that both he and Enrico Blasi utilized successfully behind the RedHawks’ bench. Overall, I think 2011-12 is going to be another tough season in northwest Ohio. Though it’s been a rather tumultuous and loud off-season for the Miami RedHawks and college hockey as a whole, there was one relatively quiet addition to Miami’s roster last week when Danbury, Connecticut’s Shayne Bingham was added as a walk-on for the 2011-12 season. Bingham, who played high school hockey at Rye Country Day, an independent college prep school located in Rye, N.Y., was initially hoping to play club hockey at Miami after enrolling earlier this year. However, the freshman penned a letter to head coach Enrico Blasi asking for a shot at the big team. With the loss of prized defensive recruit He Who Must Not Be Named Connor Murphy to the Sarnia Sting of the OHL and the impending departures of senior defensemen Will Weber, Cameron Schilling, and Chris Wideman, along with forward/defenseman Matt Tomassoni at season’s end, an extra d-man is a needed insurance policy this year. And, if Bingham makes enough of an impact during practice, he could earn a roster spot next season even when Miami has additional defensemen coming to campus to account for the aforementioned losses. To be truthful, if Bingham sees the ice this year it likely means injuries or suspensions have decimated the Miami blueline. However, I’m sure he’ll be the hardest worker in practice doing everything he can to earn a shot this year and in the future. The Journal News of Lower Hudson Valley has a tremendous article on Bingham’s story including the outreach to Coach Blasi that eventually earned him a shot. Best of luck to Shayne as he begins his Miami career!